Product prices and availability are accurate as of 2019-02-22 07:04:38 EST and are subject to change. Any price and availability information displayed on http://www.amazon.com/ at the time of purchase will apply to the purchase of this product. 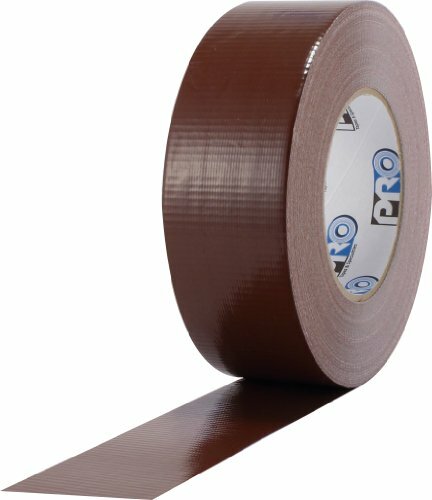 ProTape 110 is a general purpose duct tape. Good balance of strength and conformability. Resists twisting and curling, aggressive adhesion to smooth and rough surfaces. Economically priced. Easy to apply. Features quick stick, good adhesion, good tensile strength, short term, high temperature resistance, outdoor use, highly conformable, hand tearable, waterproof backing and weather resistant. 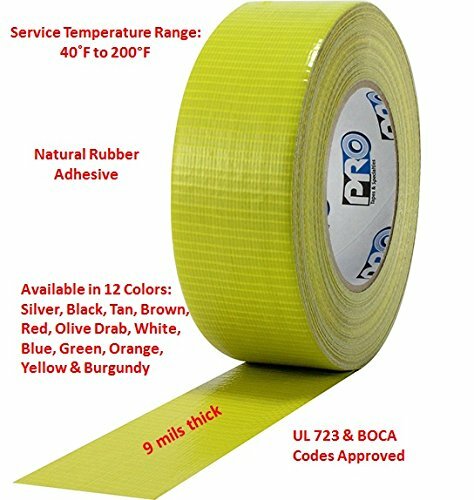 Can be used for applications like bundling, patching, mending, color coding, general repair, sealing off polyethylene waste disposal bags, heavy-duty box sealing, wire/cable hold down, color coding and labeling, HVAC, packaging, general purpose abatement and contractor uses. It is PE-coated cloth backed tape with rubber adhesive. 40 to 200 degrees F operating temperature. Having 24-pounds per inches of tensile strength. 50-ounces per inches adhesion to steel. Measures 60-yards length by 2-inches width by 9-mils thickness. Available in brown color. Can contribute toward satisfying EQ Credit 4.1 (Low Emitting Materials) under LEED. UL 723 listed.